Several studies in recent years have highlighted the fact that a significant percentage of 401(k) plan participants don’t realize that their company retirement plan is not free. Further they were not aware that they often pay all or a portion of these expenses out of their plan accounts. 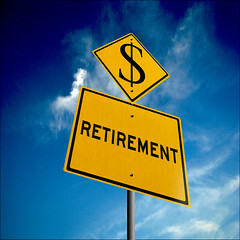 A 2011 study by AARP showed that 71% of the 401(k) participants that were surveyed were unaware there were expenses associated with their retirement plan. The survey also showed a high level of misunderstanding of plan fees even by those who were aware of them. More recent studies have also shown significant levels of both participants who are unaware of the fees and a high level of misunderstanding, even with the advent of required 401(k) fee disclosures in 2012. Investment expenses. Here I am primarily referring to the expense ratios of the mutual funds, collective trusts, annuity sub-accounts, or ETFs offered as investment choices by the plan. Using mutual funds as an example, all mutual funds have an expense ratio whether you invest within a 401(k) plan or outside the plan. 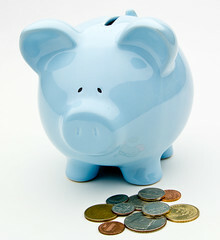 The key is whether the expense ratios of the choices offered by your plan are reasonable. Administration and record keeping. This includes keeping track of plan assets, participant assets, ensuring that salary deferrals and matching contributions are invested in line with the participant’s elections, generating quarterly statements, as well as various testing and external reporting functions. Custody of plan assets. This is where the money invested and the mutual funds (or other investment vehicles) are housed. Examples of custodians might be Fidelity, Vanguard, Schwab, Wells Fargo, etc. Investment advisor. The fees here are for an outside investment advisor who provides advice to the plan sponsor in areas like investment selection and monitoring and the development of an Investment Policy Statement for the plan. However, sometimes these charges are simply the compensation for a registered rep who sells the plan to company and may offer little or no actual investment advice. Other than mutual fund expense ratios (investor returns are always net of expenses) these expenses may be paid from plan assets (your money), by the company or organization sponsoring the plan, or a combination of both. For example the plan sponsors who engage my services as advisor to their plan pay my fees from company assets so the plan participants bear none of the cost. Additionally the delivery of these various functions can be fully bundled, partially bundled, or totally unbundled. Generally (and hopefully) the outside investment advisor is independent of the other service providers. Providers like Fidelity, Vanguard, or Principal are example of bundled providers. They provide the investment platform, custody the assets, and do all of the administration and record keeping. In an unbundled arrangement, the custodian, record keeper, and the investment advisory functions are all separate and provided by separate entities. Neither arrangement is inherently good or bad, it is incumbent upon the organization sponsoring the plan to monitor the costs and quality of the services as part of their Fiduciary duty to you the plan participant. Plan sponsors should insist on transparency regarding all provider expenses. BrightScope is a service that independently rates 401(k) plans on a number of criteria. Check to see if your company’s plan is ranked by them at their site. The required fee disclosures that I mentioned above focus on the plan’s investment options and their expenses. You should start seeing them in the near future. While they may not look particularly informative and don’t delve into the plan’s total costs, the investment expenses can be telling none the less. If your plan is via a large employer, you may see institutional share class mutual funds with very low expense ratios. As an example my wife works for a division of a Fortune 150 company and some of the index funds available to her have expense ratios less than 0.05% which is very low. In fact looking at the fund share classes offered by your plan is also revealing. The American Funds offer six share classes for retirement plans ranging from R1 to R6. Using the popular American Funds EuroPacific Growth fund as an example you can see the differences in the expenses and the impact on return below. I think you will agree that this is a rather significant difference. The 12b-1 fees are included in the fund’s expense ratio and generally go to compensate the plan provider, the registered rep or broker who sold the plan or other service providers. In the case of the American Funds you generally see the R1, R2, and R3 shares in higher cost, broker sold plans. Similar share class comparisons can be made with other mutual funds in many other families including Fidelity, T. Rowe Price, and even low-cost Vanguard. While these are median expense levels I would say that for the most part if the funds in your plan are at these levels they are too expensive. Index funds across these categories should be 0.25% or less. Several studies have concluded that the biggest determinant in retirement success is the amount saved. 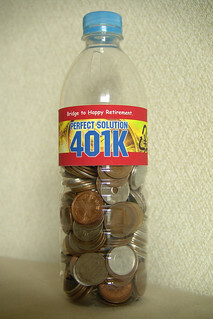 None the less having access to a solid, low cost 401(k) plan as vehicle for retirement investing is a big plus. Most Target Date Funds are funds of the mutual funds of the fund family offering the TDF. The pitch is to invest in the fund with a target date closest to your projected retirement date and “… we’ll do the rest….” A key element of Target Date Funds is their Glide Path into retirement. Stated another way the Glide Path is the gradual decline in the allocation to equities into and during retirement. Should the fund’s Glide Path matter to you as an investor? Target Date Funds have become a big part of the 401(k) landscape with many plans offering TDFs as an option for participants who don’t want to make their own investment choices. Target Date Funds have also grown in popularity since the Pension Protection Act of 2006 included TDFs as a safe harbor option for plan sponsors to use for participants who do not make an investment election for their salary deferrals and/or any company match. These funds are big business for the likes of Vanguard, Fidelity, and T. Rowe Price who control somewhere around 70% of the assets in these funds. Major fund families such as Blackrock, JP Morgan Funds, and the American Funds also offer a full menu of these funds. Ideally for the fund company you will leave you money in a TDF with them when you retire or leave your employer, either in the plan or via a rollover to an IRA. The allocation of the fund to equities will gradually decrease over time. For example Vanguard’s 2060 Target Date Fund had an equity allocation of almost 88% at the end of 2013. By contrast the 2015 fund had an equity allocation of approximately 52%. This gradual decrease continues through retirement for many TDF families including the “Big 3” until the equity allocation levels out conceivably until the shareholder’s death. T. Rowe Price has traditionally had one of the longest Glide Paths with equities not leveling out until the investor is past 80. The Fidelity and Vanguard funds level out earlier, though past age 65. There are some TDF families where the glide path levels out at retirement and there is some debate in the industry whether “To” or “Through” retirement is the better strategy for a fund’s Glide Path. Should you care about the Glide Path? The fund families offering Target Date Funds put a lot of research into their Glide Paths and make it a selling point for the funds. The slope of the Glide Path influences the asset allocation throughout the target date years of an investor’s retirement accumulation years. The real issue is whether the post-retirement Glide Path is right for you as an investor. On the one hand if you might be inclined to use your Target Date Fund as an investment vehicle into retirement, as the mutual fund companies hope, then this is a critical issue for you. On the other hand if you would be inclined to roll your 401(k) account over to either an IRA or a new employer’s retirement plan upon leaving your company then the Glide Path really doesn’t make a whole lot of difference to you as an investor in my opinion. In either case investing in a Target Date Fund whether you are a 401(k) participant saving for retirement or a retiree is the ultimate “one size fits all” investment. In the case of the Glide Path this is completely true. If you feel that the Glide Path of a given Target Date Fund is in synch with your investment needs and risk tolerance into retirement then it might be the way to go for you. Conversely many people have a number of investment accounts and vehicles as they head into retirement. Besides their 401(k) there might be a spouse’s 401(k), other retirement accounts including IRAs, taxable investments, annuities, an interest in a business, real estate, and others. In short, Target Date Funds are a growing part of the 401(k) landscape and I’m guessing a profitable way for mutual fund companies to gather assets. They also represent a potentially sound alternative for investors looking for a professionally managed investment vehicle. The Glide Path is a key element in the efforts to keep these investors in the Target Date Fund potentially for life. Before going this route make sure you understand how the TDF invests, the length and slope of the Glide Path, the fund’s underlying expenses, and overall how the fund’s investments fit with everything else you may doing to plan for and manage a comfortable retirement. As I write this its Cyber Monday, the biggest online shopping day of the year. Where to save a few dollars on this item or that has been the focus of many news stories and discussion. While we all like to save money on the things we buy, these savings are “chump change” compared with the savings opportunities available by reducing your expenses on the mutual fund and ETFs in which you invest. Here are 5 tips for reducing your investing costs for mutual funds and ETFs to help grow your investments for retirement, college savings, and other goals. The above information is via Morningstar and is based upon the earliest common inception date of the three funds and also assumes reinvestment of dividends and distributions. Note that an investment in one of the lower cost share classes of the Vanguard fund would yield even better results. There is a price war happening among several providers initiated by Schwab to offer the lowest cost ETF. Vanguard has jumped on the bandwagon by changing the index provider on many of its funds and ETFs; Blackrock’s ishares unit has also joined in. While I likely would not suggest switching from an already low cost index ETF product because it is not the absolute lowest in cost, I would suggest taking a look at the offerings of the “warring” factions. You should also take any transaction fees into account as well. Schwab and Vanguard allow transaction free trading of their own ETFs, TD and Fidelity offer a menu of transaction free ETFs as well. In many cases I am able to invest my client’s money in less expensive share classes of a given mutual fund than they might be able to purchase on their own. As an example PIMco Commodity Real Return as a number of share classes as do most of the PIMco Funds. I am able to invest client dollars in the Institutional Share Class (PCRIX) with its 0.74% expense ratio and typical $1 million minimum. This compares to the no-load D shares (PCRDX) with an expense ratio of 1.19% and a $1,000 minimum initial investment. Often the savings in expense ratios that I can provide to my clients can go a long way in covering a portion of my professional fees. The flip side of the last point is to make sure that you are not paying more in mutual fund fees just so that your broker or registered rep can make additional fees and commissions. Case in point is if your money is invested in a proprietary mutual fund offered by the rep’s employer. While some of these proprietary funds can be decent, all too often they are under performers that are laden with fees and charges to generate revenue for the broker and their firm. Some plans sold by commissioned reps and producing TPAs (Third-Party Administrators) may contain funds that are not very low cost. Case in point might be a plan with an American Funds fund in the R1, R2, or R3 share classes. This might also be the case with some Fidelity shares classes (typically the Advisor share class), as well as with some T. Rowe Price funds (the Advisor or the R share classes). These shares exist typically to compensate a producer. If you see these or similar share classes for other fund families in your plan it would behoove you to ask the person who administers your plan if it might be possible to move the plan into lower cost funds or fund share classes. Check out Morningstar to review the expenses for all of your mutual funds and ETFs and to get a free trial for their premium services. Please feel free to contact me with questions about your investments. I wanted find the worst performing actively managed Large Cap Blend style mutual fund in Morningstar’s data base over the five year period ended October 31, 2012. I was surprised to find that the fund was Legg Mason Value Trust which until earlier this year had been managed by legendary fund manager Bill Miller. The fund has several share classes, for this analysis I used the I share class (ticker LMNVX). Bill Miller is a legendary fund manager because he was able to beat the return of the S&P 500 Index each year over a 15 year stretch from 1991-2005. This is an incredible feat of performance and consistency. In terms of category rank, 1 is the top of the category, 100 would equal the bottom. This fund ranks in the 99th percentile of the Large Blend category for the five years ended October 31, 2012 (there was actually one fund ranked lower but it was a bit of a specialty fund so I eliminated it). What happened to Legg Mason Value Trust? The fund’s assets peaked at just under $7 billion in 2006, fund assets stood at about $328 million as of October of this year. I’m guessing that as performance continued to slide, investors continued to redeem their shares. The need for liquidity to meet these redemptions has most certainly been a drag on the fund’s performance. In 2002 the S&P 500 lost over 22%; the fund was able to limit its loss to just over 18%. In 2008 the S&P 500 lost 37% while the fund lost an astonishing 54.61%! That means that an investor with $10,000 in the fund on January 1, 2008 saw their holdings drop to $4,539 by the end of 2008. The value-oriented approach that had served shareholders well over the years was in the process of producing a third straight year of the fund performing in the category’s bottom 2%. Every market environment is different. During the market decline of 2000-2002 there were still a number of mutual funds and market sectors that held up pretty well. During the sharp decline of 2008-09 pretty much no strategy worked well. Funds such as Dodge & Cox Stock which had been stars in the 2000-2002 timeframe saw their strategy backfire and sustained out-sized losses for their shareholders. A precipitous decline in assets often becomes a snowball. 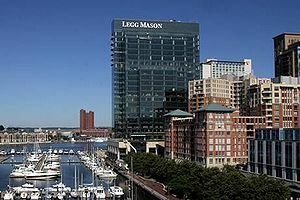 In the case of Legg Mason Value Trust fund assets declined from just over $6 billion at the end of 2007 to about $1.35 billion at the end of 2008. This is a greater drop than can be accounted for by the fund’s investment losses. The level of redemptions served to amplify to fund’s losses. This issue has continued through the present and has limited the fund’s ability to take advantage of the market rally since March of 2009. 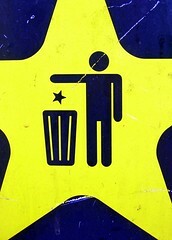 It’s hard for superstar funds and managers to outperform forever. Fidelity Magellan and American Funds Growth are two examples. On the flip side the managers at Fidelity Contra and Fidelity Low-Priced Stock have continued to be top performers over long periods of time and in the face of significant asset growth in their funds. They are the exception rather than the rule. Evaluating an actively managed mutual fund is not an easy task, which is another argument for index products. Many actively managed funds are not worth the extra expense ratios they charge. This is not to say that there are not some excellent actively managed funds that are worth investing in. Just be prepared to understand why these funds have been successful and to monitor them for changes in key personnel, major fluctuations (up and down) in the level of fund assets, changes in the fund’s investment process, and organizational changes that might impact the investment process among other factors. Please feel free to contact me with your financial planning and investment questions. Check out Morningstar.com to analyze your mutual funds and to get a free trial for their premium services. I’m guessing that our family is no different from most in that we have some unique ways of communicating. For example, beef tenderloin was a dish that my wife would make on a number of special occasions as the kids were growing up. She cooked it in a black roasting pan with white specs, hence beef tenderloin is forever know as “polka dot pot meat” in the Wohlner house (the black roasting pan is long gone). In this same vein, the word oxymoron has been changed to “Dumb Ox” in Wohlner speak. Several years ago I was having lunch with a CPA who was also licensed as Broker Dealer and sold securities including loaded mutual funds to some of the firm’s clients. I’ve never understood how a trusted advisor like a CPA could turn around and sell financial products for a commission, but that is for another post. Over lunch the CPA said “… I know that you will disagree, but I often think there is nothing better for many clients than a good B Share…” He’s right I do disagree, to me a “Good B Share” is the ultimate “Dumb Ox” (no offense to any Oxen intended). The American Funds, like an increasing number of fund companies no longer sells B share mutual funds. However, even if there are no new B shares being sold; many investors are still trapped in the overpriced funds by the surrender charges. With the A shares, a $10,000 investment would incur an upfront sales charge of $575, meaning that $9,425 would be invested in your account. As an alternative for investors who didn’t want to pay the upfront sales charge B shares were created. While there is no upfront sales charge and the entire $10,000 is invested, the ongoing expenses of the fund are considerably higher. Additionally you are literally trapped in the fund by the deferred sales charge which starts at 5% and declines by 1% each year until it goes away altogether in year 6. While you can generally exchange your fund for another B share fund in the same fund family, you will get hit with the surrender charge should you sell any or all of the shares. At the end of the surrender period the B shares are supposed to revert to the less expensive A shares. I’ve heard of instances where B shares were not automatically moved to the A shares, it is always a good idea to read your brokerage statements. What if I still own B shares? If your fund has moved out of the surrender period and has not moved to the less expensive A shares call your financial advisor and ask why. If your fund is still in the surrender period do a cost/benefit analysis to determine if moving out of the fund and buying into a less expensive (and presumably better performing) alternative would be cost effective. Basically you want to look at the difference in the annual expenses of the B share fund vs. the alternative and determine how long it would take you to breakeven after incurring the surrender charges based on the cost savings. 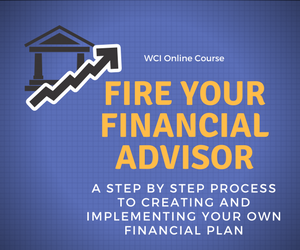 Consider firing the financial advisor and the firm that put you into the B share in the first place. I’ve been in this business a long time and I can’t see any reason to have put a client into a B share except greed (though I’m open to listening to other explanations). The ongoing payments to the brokerage firm (the 12b-1 portion of the expense ratio) and the “handcuffs” placed on shareholders by the surrender charges are quite lucrative for the broker, and serve to reduce your returns. At the very least confront the advisor and ask them why you were sold a B share in the first place. I’m biased on this subject and in the interest of full disclosure I am a fee-only financial advisor and I do not accept commissions or sales loads of any kind. As always, be sure that you understand ALL expenses and fees that you will be paying when working with a financial advisor. What you don’t know can really reduce your investment returns. 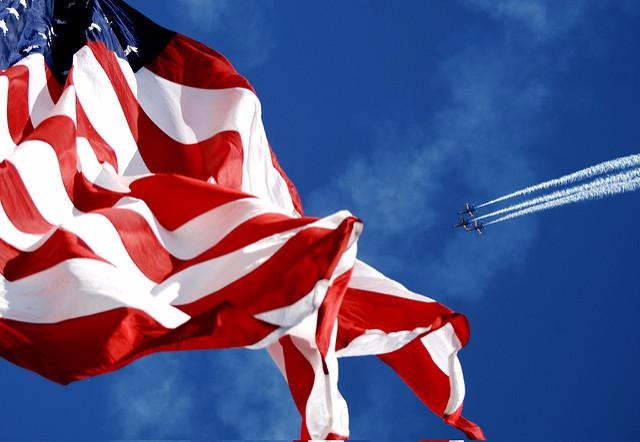 American Funds Growth – A Fallen Star? My last post asked Mutual Funds – Should You Pay Extra for Active Management? As a follow-up I am taking a look at an actively managed Large Growth fund that was once a top-flight performer, but has really slipped in recent years. Readers of this blog may note that two of the most popular posts have dealt with the American Funds in the context of their use in 401(k) plans. American Funds Growth remains a major holding across the 401(k) universe. The asset base of American Funds Growth (across all share classes) is huge at just over $116 billion, but it is down considerably from its 2007 high of about $202 billion. Still the fund remains the largest in the Large Growth category. Let’s compare Growth’s A Share class with the Investor Share Class (the most expensive) of the Vanguard Growth Index Fund. The A shares have a low expense ratio of 0.68%, but the Vanguard fund’s expense ratio is 0.24%. The average fund/ETF in this category had an expense ratio of 1.22% as of June 30. Note the A shares carry a front-end sales charge; the returns below do not reflect this. As of September 30, 2012 – courtesy of Morningstar. The superior performance of American Funds Growth over the ten-year period is consistent with the fund’s annual performance. From 2002-2006 the fund outperformed the Growth Index fund during each of these years. Further the fund ranked no worse than the top 18% of all of the funds in the Large Growth Category. Since 2006, the story is a different one. American Funds Growth has lagged the Growth Index fund in each of these years. Further the fund has ranked in the lower half of the Large Growth category in 3 of those 5 years. For the three years ended September 30 the fund ranks in the 74th percentile (bottom 24%) of the Large Growth category. The fund ranks in the 68th percentile for the trailing five years and the 24th percentile for the trailing ten years. While American Funds Growth’s expenses are generally reasonable (though not for some of the share classes that are sold via the broker channel) what are you getting by paying the extra cost? Further, the fund’s R-Squared (a measure of correlation) with the Russell 1000 Growth Index over the past three years is over 97%. Essentially the fund has become a closet indexer with lagging performance and higher expenses. I’m not saying American Funds Growth will never be a consistent long-term performer again, nobody can predict the future. I respect the American Funds as an organization. But why invest in a closest index fund when you can invest in the real thing? If your broker or registered rep tries to convince you otherwise ask them the same question. Please feel free to contact me with your investing and financial planning questions.